We make a living in what we do, we make a "life" in the things we do. Our passion is to help others discover the benefits of chiropractic. A positive review can be very influential in helping someone choose a chiropractor. Sharing your experience at our chiropractic clinic may help others decide if our office is the right fit for them. 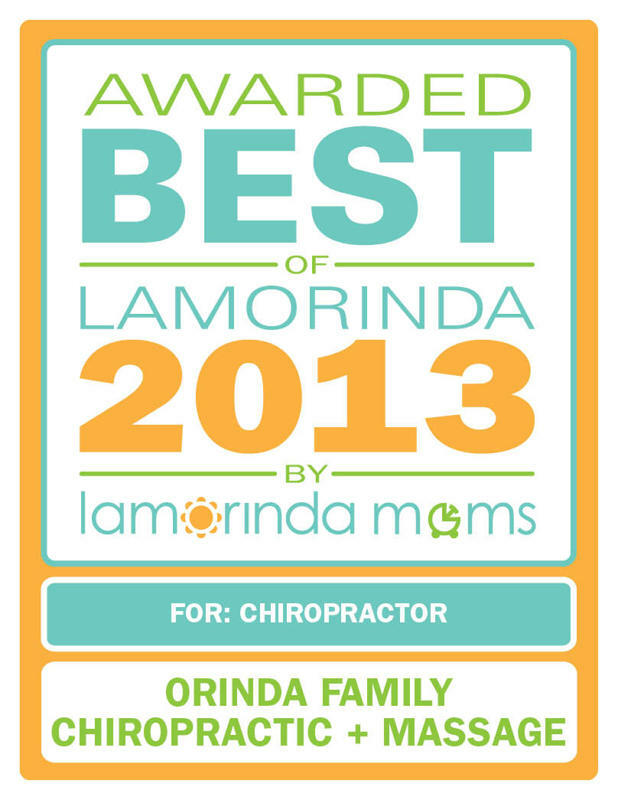 Thank you for taking time to write a review and most importantly, thank you for helping us help others discover the benefits of chiropractic at Orinda Family Chiropractic. Dr. Jason Wong is MY HERO! This morning I told Dr. Jason Wong that I think of him as my Fairy Godson. Last week, I told him he was my hero. Mere words of praise, respect, admiration and appreciation are wholly inadequate to communicate my gratitude to Jason for what he is doing for me. I came to Orinda Family Chiropractic with high hopes but low expectations. I have been living with and greatly suffering from chronic pain for decades. I have seen numerous chiropractors, physical therapists, physicians and spine specialists. My experience was discouraging because invariably the practitioner honed in on one or two symptoms and ignored the fact that pain, instability, and weakness in my upper body was a complex affair. No one was able to help me. The pain in my neck was so intense I had to hold my head in both my hands just to turn over in bed at night. This particular pain has been between 8 and 10 for more than 20 years. I have had a pain in my upper back for more than 45 years. For two solid decades my life has been defined by my pain . I have many blessings in life so I accepted the pain but I never gave up trying to find something, anything -- other than pain meds -- for even temporary relief. Ice had been my best friend until exactly two weeks ago when I found Dr. Jason Wong. From the very first moment he laid his hands on me he knew exactly what was wrong, what I needed, and how to help me. After only 3 sessions my neck pain completely disappeared. It is now 10 days later and no hint of neck pain. I am still in a state of shock to be freed from that horrific nightmare. Dr. Wong is working on several of my dysfunctions and I am already receiving excellent results. I have seen Dr. Wong for a total of 7 visits over these last two weeks. He has already achieved more relief for me than all the other caregivers put together. They tried and failed to help me. Rather than my life being defined by pain, these days my life is filled with joy and hope and sincere gratitude to Jason. My family is thrilled that I have finally found someone who knows exactly how to help me . I assure anyone reading this that I have not exaggerated the pain or the miraculous pain relief. I am excited to see what the future holds for me now that I am no longer trapped by horrific and relentless pain . Thank you, Dr. Wong. This is to follow up on my review of Dr. Jason Wong written four months ago. At that time I wrote a glowing review of Dr. Wong filled with superlatives and heartfelt gratitude. It is difficult to describe the improvement in the quality of my life since I found Jason without appearing overly effusive or over-the-top. I had been resigned to a life of pain and limited mobility. Although I tried to be Zen about it, I never stopped researching and experimenting in hopes of finding even small improvements. When I wrote my first review, after only two weeks of seeing Dr. Wong, I was astounded by what he was able to do for me. Now, four months later, I think even he is impressed with the profound improvement in the key areas of dysfunction that had been plaguing me for decades. I think Jason and I have a perfect symbiotic relationship -- he knows exactly what to do for me, and he tells me exactly what I need to do to at home, and I follow his instructions faithfully. He makes me feel that my commitment to follow through with his recommendations is important to him. I am absolutely convinced that he really does care about me. When my insurance-authorized 20 visits were exhausted I had no hesitation dipping into my discretionary personal spending account to continue working with Dr. Wong. I can honestly say that I have never, ever spent money more productively than on these sessions with Dr. Wong. I went from a 63-year old woman going on 80 to a 63-year young woman going on 40. Just today I wrote a thank-you message to the office letting them know that when I return from vacation I am going to explore all of their services. The way I see it, if they offer it, it will be AWESOME! I went to a Sports Medicine place for chronic elbow and neck pain, only to get worse. Jason had me feeling better in a few sessions, and now both my husband and I see him regularly for maintenance and pain-free health. As a Personal Trainer, I have recommended him to all my clients, and have never received anything but praise and gratitude. His office also provides knowledgable physical therapy and massage, in a very relaxing and welcoming environment. I have never felt my treatment was over-prescribed, or the invoicing confusing or inaccurate. The staff is very friendly and happy to discuss any concerns we've ever had, usually involving insurance issues. I feel so confident in Jason that I'm thinking of bringing my children in for their first adjustments! Dr. Jason & Dr. Haidee treat my whole family! I was referred to Orinda Family Chiropractic a few years ago by my sister, and I can’t even begin to tell you how much it has helped me with my chronic headaches and neck/shoulder pain! Due to the long hours required by my firm, my neck and shoulder pain was almost unbearable before I began treatment with Dr. Jason and Dr. Haidee Wong. Their skill and techniques are so specialized to each patient, I know this because my entire family and even some co-workers now go to them for treatment. It’s been like night and day with regard to how much better I feel. I had tried everything to help with my headaches and neck/shoulder pain! 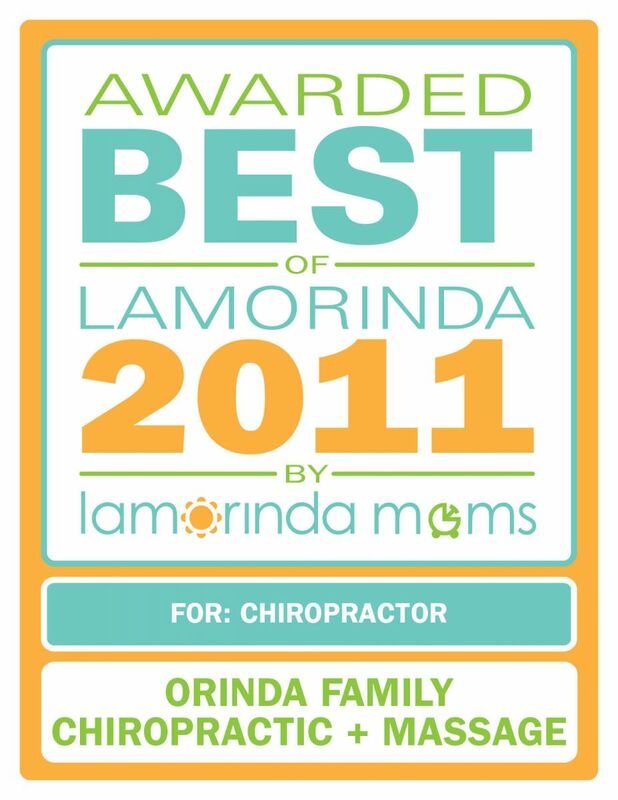 Massage, medication, acupuncture, other chiropractors, but nothing helped until going to Orinda Family Chiropractic. You feel like family when you walk in to their office and I can’t thank them enough for how much better I feel today! Dr. Jason Wong "gets me back into shape." Dr. Jason Wong has helped me get back to feeling like normal after my car accident. His staff is wonderful (even my 2 year old loves going to see them!!) and they are very helpful to get me in when I need it. I would definitely recommend going to see them! Oh yeah, and they have massage too...WONDERFUL! Successful in treating Chronic Back Pain! After a few bad falls from a previously owned horse, my back is permanently damaged. I've been managing chronic back pain for a number of years and a few years ago I reached a point where it was just unbearable. I was never a true believer in chiropractic adjustments before coming to Dr. Wong, but my opinion has since changed. As they say, "the proof is in the pudding," and I am here today living with far less pain as a result of his regular care over the past few years. I should also mention that other than his fine work his office is well run with friendly and professional staff (thanks Stacey for your positive attitude and helpful appointment reminders). If you have any need to see a chiropractor this is the place to seek attention. Great service, great people and above all patient care that really works. Dr. Wong is worth the visit. Dr. Wong is the only Chiropractor who I continued to see over a long period of time. His caring manner, and the front office staff's professionalism has gone a long way with me. Though I do not see him regularly now, this office was absolutely the best. Dr. Wong Cares for Our Whole Family! Jason is by far the best Chiropractor in Northern California (Maybe all of California!). My entire family has been treated by Jason throughout the past 10 years. We don't do maintenance visits, we all do emergency visits and he works miracles. I have had back surgery; double knee replacement surgery and i have been treated by other chiropractors, no one can even compare. I referred others to be treated here, who absolutely agree, Jason Wong is excellent, the best! Dr. Wong is COMMITTED TO WELLNESS! No one had been able to help me with my back injury in 1995 until I went to see Dr. Jason Wong! For years, I had been skeptical of chiropractors, but I could barely walk across the street and I had exhausted other possible resources. Jason listened attentively and carefully diagnosed my back problems. He then began excellent highly personalized treatment. To see progress felt like a miracle to me! It was not long before I was no longer in pain and then playing tennis again, hiking and skiing! Now, as I am getting older, and other physical challenges develop, Jason helps me continue to maintain good health. Jason is deeply committed to wellness. He combines his expertise, experience and skills to attain and maintain this state of being for all of his patients. (He is also honest in telling patients if he cannot help them.) I highly recommend him if you need and/or want superior chiropractic care! I am a very active 57 year old man who has been blessed with a pain free back. Until two weeks ago. That is when I was moving a heavy floor sander and felt a slight twinge in my lower back. No big deal, until 2:00 am the next morning when I woke up with agonizing lower back and right leg pain. So much so that I was freaking out because I could get no relief. I happen to have some Vicodin in the house which I used for three days...it was heavy duty stuff but still the pain was overwhelming at times. A friend suggested I see Dr. Jason Wong. I made a same day appointment, and Dr. Wong listened to my description of the pain, diagnosis a hip flexor strain and said he would have me back in running order in 5 visits. I was very skeptical, but by use of a combination of electrical stimulation and spinal manipulation along with specific stretching exercise he did it in 4 visits. I am TOTALLY blown away, I really thought I was in for a long healing process. He is also as honest as the day is long, none of that "you will have to see me once a week for the rest of your life crap". If you have any back pain or discomfort give this guy a shot, he is amazing. Very bright, and very efficient, his office is a well oiled machine. You won't waster your time or money, in fact I think his fees are dirt cheap, but don't tell him that...:) Now those four visits were fairly intense, his therapy was a little painful at times but like they say, no pain...no gain. Nothing earth shattering, but when you can barely move without crying out, it is amazing to me that he apply any active therapy. He is a true healer, he has the gift.